This graphically cropped lettercard for use in Paris’ pneumatic post includes the Chaplain design used for the printed stamp on most of the dedicated stationery. The map of Paris shows the original inner city area served by pneumatic service (red shading), the area added starting Feb. 1, 1882 (purple shading), and the area planned for further expansion (red diagonal lines). Starting in 1898, ordinary envelopes were allowed for the pneumatic post in addition to the dedicated postal stationery. This 1939 cover has the proper rate of three francs for a letter weighing between 7 and 15 grams. This graphically cropped lettercard shows the service area after the third phase of expansion opened Feb. 1, 1884. The service covered all of Paris except the area with red diagonal lines, which would be covered in the final phase. 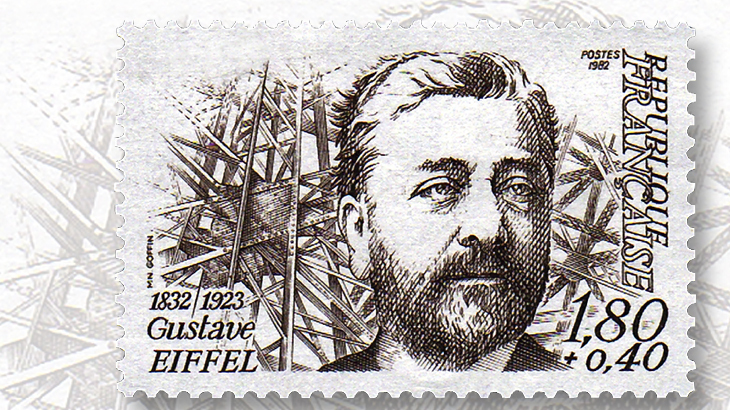 France marked the centenary of pneumatic service with a 1.60fr commemorative stamp issued in 1966. It is shown here affixed on a souvenir card with a first-day cancel. A pneumatic tube appears on the stamp at right and on the cancel. The map on the stamp and card includes the Paris Bourse (Stock Exchange) that was the impetus for the service. This card for the pneumatic service was originally issued before the final part of Paris was served (blue diagonal lines). When the expansion into that area was completed on Dec. 15, 1884, the card was overprinted “Valable pour tout Paris” (valid for all of Paris). These are artifacts of the Paris pneumatic post that carried mail within Paris for more than a century, allowing the mail to move faster than would be possible on the crowded city streets. Pneumatic service was first used for telegrams. The invention of the electric telegraph early in the nineteenth century allowed information to be moved faster than ever before. By the 1850s, the telegraph was well established and often used by merchants at stock exchanges. However, there was a weak link. The advantage of fast communication could be lost if the message took a long time to get from the telegraph office to the stock exchange. The pneumatic tube, invented by Scottish engineer William Murdoch in the 1830s, was used to solve this problem. In 1853, a 220-yard pneumatic tube was installed in London between a telegraph station and the London Stock Exchange. The system was soon expanded in London and implemented in other English cities. A similar installation was done in Berlin (then part of Prussia) in 1865. An experimental line was built in 1866 in Paris between the telegraph office at the Grand Hotel and the Paris Stock Exchange on Place de la Bourse, a distance of about a half-mile. Soon the Parisian system was extended to post offices and other telegraph offices throughout inner Paris. The pneus were placed in a small capsule. The capsule was inserted into a network of tubes and propelled by air pressure, either pushed or pulled, to the destination. The tubes went through sewers, along rail and subway lines, and across bridges. Speeds up to 20 miles per hour were achieved. 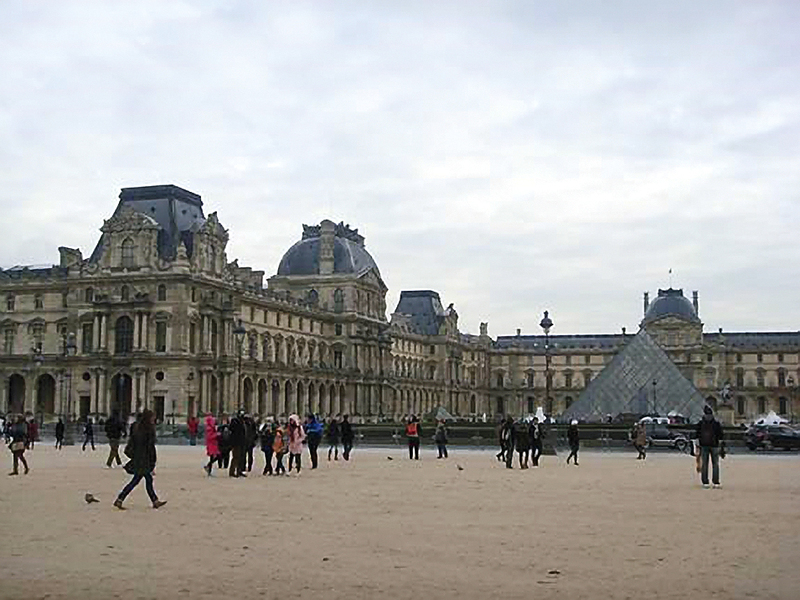 Global quest for stamps leads traveling collector to Paris: As the capital of France, the charming city of Paris has much to offer everyone, and stamp collectors are no exception. The system grew rapidly. As in other cities, street traffic was jammed in Paris, so the pneumatic system provided fast transmission of telegraph messages. By 1879, all of inner Paris was served by pneumatic tubes. The prior year, the telegraph service and post office were combined into a single organization, P&T (Postes et Telegraphes), which later became the PTT (Postes, Telegraphes et Telephones). As a result, pneumatic service was opened to the public on May 1, 1879. Special mailboxes were provided for pneumatic mail, and post and telegraph offices were gradually merged. The mail was sent via the system to the office nearest the addressee and then delivered by courier. Official dedicated postal stationery was required for use of the pneumatic system. Initially there were cards and lettercards — double-sized cards with a perforated gummed border. The card would be folded and sealed by the sender, and the recipient would tear off the border to open the card. In 1880, reply cards were introduced. These consisted of two joined postal cards. The sender used one for the message, and the recipient detached the second card and returned it to the sender with the reply. Although a unique design was desired for the stamp image on the pneumatic stationery, it could not be prepared in time for the start of the service. The first postal stationery had the Peace and Commerce design (also known as the Sage design) that was being used for postage stamps. Eiffel Tower, opened in 1889, stands tall on French stamps: Despite early hesitations, Parisians came to love the tower, and it became — and still is — a symbol of France known all over the world. New stationery was introduced in April 1880. It was designed by sculptor Jules-Clement Chaplain and is known as the Chaplain design. It features a woman representing France seated on a throne, holding a scepter and a horn of plenty. She is leaning on a shield that contains the stamp’s denomination. The word “telegraphe” appears at the bottom, with Chaplain’s name in small type at bottom right. With a few brief interludes, the Chaplain design was used until the service was terminated in 1984. The initial stationery was inscribed “service telegraphique” (telegraph service) and “tubes pneumatiques” (pneumatic tubes). Cards included “carte-telegramme” (telegram card), though lettercards simply had “telegramme.” These inscriptions changed over time. There were also instructions for the sender, including notices that the number of words was not limited (unlike a telegram), that nothing could be included inside the lettercard or else the item would be sent by regular post, and that service was limited to the inner areas of Paris. The pneumatic service proved very popular, and from 1882 to 1884 the service was extended in several stages to cover all of Paris. Maps were printed on the stationery to show the parts of Paris that were currently being served. Several of these are illustrated nearby. Envelopes were introduced in January 1885. On the back was a warning that the maximum weight for the letter was 7 grams, about ¼-ounce. In 1896, the weight limit was raised to 30 grams, with three rates depending on weight. Adhesive stamps were added to the stationery to pay for the higher weights. By 1888, there were about 125 miles of pneumatic tubes. The service gradually expanded within Paris, and by the 1930s there were 290 miles of tubes. In 1898, the system was opened to ordinary envelopes. The example pictured here was mailed by Immobiliere Gallieni in 1939, franked with the 3-franc Palace of the Popes, Avignon, stamp (Scott 344). The pneumatic cards were discontinued in 1902 and envelopes in 1942, but lettercards remained available until the service ended. Pneumatic service was extended to the suburbs starting in 1907 by the use of special messengers on bicycles. By the 1970s, pneumatic mail from the suburbs was brought in to offices at the limits of Paris by post office vans. After transmission to the recipient’s closest office, messengers on motorcycles delivered the pneus. This service was expensive. In 1975, a pneu cost almost eight times the postage rate of a postal letter, and yet it still operated at a deficit. The Parisian system was terminated on March 30, 1984, as a result of the high costs and the introduction of new technology such as fax and telex, a system where recipients had their own printers. France commemorated the centenary of pneumatic service with a 1.60fr stamp in 1966 showing a map of the pneumatic post and a tube (Scott 1168). Pneumatic posts became impractical long ago, but pneumatic systems are still used privately. In the 19th century, there were proposals and tests of moving passengers via a pneumatic system, but none came to fruition. The idea has been revived recently, with proposals for high-speed rail using magnetically levitated cars propelled by linear induction motors and air compressors.